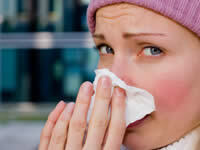 The role of the immune system is to protect the body from bacteria, viruses and tumours. The immune system deals with these threats in a number of different ways, from engulfing bacteria to killing parasites, tumours and cells infected with viruses. A key part of the immune system are the white blood cells which are produced by bone marrow and help the immune system to perform its role. The thymus is an organ located between the heart and the breast bone. The thymus produces hormones involved in the immune system and is also responsible for the maturation of powerful immune cells called lymphocytes. The spleen is located between the stomach and the diaphragm and performs a number of activities for the immune system. The spleen filters bacteria and viruses out of the blood and stores red blood cells and lymphocytes for release when required. For example, if the body contracts an infection, the spleen can release a ready supply of lymphocytes to control the infection. The lymph nodes filter the lymph fluid and white blood cells attack any bacteria or viruses that are present. The white blood cells play a very important part in the immune system as it is the white blood cells which directly fight the bacteria and viruses that infect the body. There are three main types of white blood cell: granulocytes, lymphocytes and monocytes. Granulocytes help to engulf bacteria, fungi and parasites. There are three different forms of granulocytes: neutrophils, basophils, and eosinophils, which each play a different role. Amongst the lymphocyte cells are B cells and T cells which perform different tasks. B lymphocytes produce antibodies which bind to pathogens such as bacteria marking them out for ingestion by cells such as neutrophils. T cells are able to release molecules to kill targeted cells. Monocyte cells can be dendritic cells or macrophages. Dendritic cells help to mark out certain cells for destruction by other white blood cells whereas macrophages are able to ingest a large number of invading bodies. Type 1 diabetes is an autoimmune disease, whereby the body's immune system reacts against its own cells, in this case the insulin producing cells in the pancreas, and begins to kill these cells. The causal factors of type 1 diabetes are not yet well understood. Researchers believe that type 1 diabetes results from a combination of genetic predisposition followed by an environmental factor that 'triggers' the disease to develop. When the disease is triggered, T lymphocyte cells start to target and kill off the insulin producing beta cells in the pancreas. The immune system also plays a part in type 2 diabetes. Researchers have linked insulin resistance to high levels of cytokines, which are released in response to inflammation in the body. The immune's system's response to inflammation leads to fat cells being unable to respond well to insulin and sees the fat cells releasing fatty acids into the blood, leading to higher than normal levels of cholesterol.